Customers who approach the hotel front desk with Priceline hotel "name your own price" reservations can expect a variety of greetings. In my experience, courteous, professional treatment is the norm probably nine visits out of 10. But there are some front desks where hotel policy becomes confused with Priceline policy. As a general rule (with many exceptions, of course), the best bidding strategies with Priceline work better in big cities such as New York, where room rates are high when selecting well-located hotels. Consider my experiences at two out-of-town weddings just one week apart. I needed a room for two people with one bed for one night. I paid $50 USD plus taxes for a room that costs $160 per night in a large urban area. I did this by folllowing a reliable method for getting good Priceline results. Near the end of that process, I must agree to give Priceline my credit card number and allow them to book an unknown room in a three-star hotel within a certain geographic area, so long as the room rate did not exceed $50. Once the transaction was accepted, I found out the name and address. At this hotel, we were treated as well as any other guest. Without being asked to do so, the clerk gave us a room in back of the hotel, away from the highway. Week two: I arrived at a hotel in a small town where I also had made a Priceline purchase. This room cost $60/night for two nights. The room rate was $89. Obviously, the savings were more modest here than I had achieved in week one. This deal had been closed for seven weeks, so my money was long since spent. Priceline "name your own price" purchases are finished business before you ever arrive -- one of the risks you must accept if you use the service. In this city, I needed a room with two beds. But the clerk told me without blinking an eye that "Priceline does not allow any changes in the reservation," and my reservation was for one king-sized bed. Part of that statement was correct. Priceline's default, pre-paid reservation is for a room with one bed. It is up to the customer and the hotel to work out any other arrangements. Sometimes, the hotel simply doesn't have a two-bed room available and therefore cannot accommodate the request. But when I was told there were no two-bed rooms available a day before arrival, I performed a hotel search to see if I could purchase a second room at another nearby hotel. Interestingly, the very first search result in this small town was for a two-bed room at the hotel in question for $89/night. Let's assume there was simply a misunderstanding at work rather than overt deception on the question of room availability. The same cannot be said for the claim that Priceline would not allow the hotel to put me in a room with two beds. About two weeks earlier, I was told nearly the same thing by a clerk at a hotel in another state. Unfortunately, these experiences are far from uncommon. Priceline customers frequently complain about this treatment. So a spokesperson for Priceline was not surprised by this inquiry, and had a quick answer: "bed-type allocations are up to the hotel." In the terms and conditions section of their website, it is stated this way: "Room assignments are based on hotel availability and are at the hotel's discretion." Indeed, confirmation notes from Priceline include this statement: "bed-type requests (King, Queen, Two Doubles, etc.) 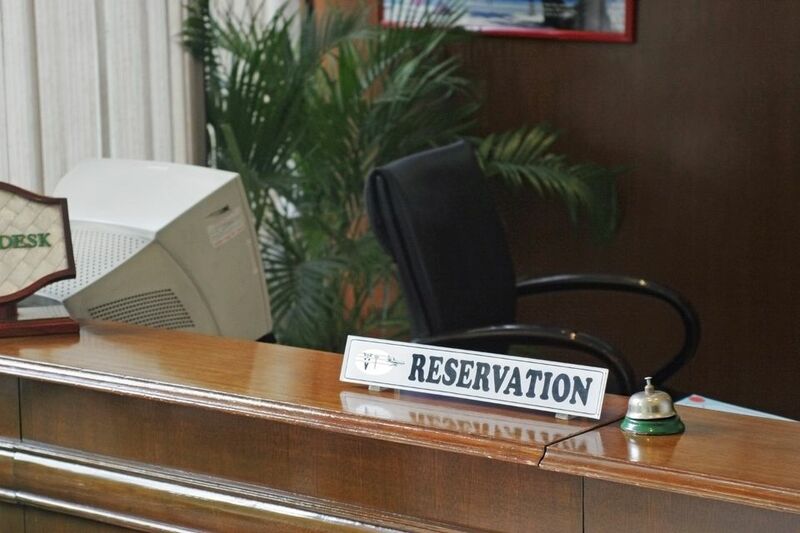 or other special needs such as a non-smoking or smoking room should be requested through your confirmed hotel, cannot be guaranteed and are based on availability." This statement is consistent with my experience. In many cities, clerks have been happy to check for two-bed rooms and make the switch if possible. No guarantees of fulfilled requests, but certainly nothing there about a prohibition from Priceline. The purpose of Priceline is to move inventory for hotels -- fill rooms that would have been empty without a deep discount. Once the sale is made, the work of Priceline is done. Whether you sleep in a double or a queen is of no consequence. But spreading the falsehood about a Priceline prohibition on any changes has become a favored tactic for clerks who, for whatever reason, simply will not be accommodating your request. For these clerks, it's easier to blame Priceline than to simply admit they are not going to honor your request. Be certain to make your request for a no-smoking room, two beds or whatever else you need as early as possible and in a polite manner. Be ready to accept "no" for an answer, because it is within the Priceline terms for the hotel to decline. Remember that even though good deals are possible, this service has its pros and cons. One tactic many budget travelers employ is to cut the night clerk out of the negotiation. Make a direct request by phone or email with the hotel manager. You might still be denied, but at least you'll know the situation prior to arrival. And the hotel manager is less likely to spread falsehoods for convenience sake. What's the Deal with Westin Hotels?